This month for Storytelling Sunday, Sian proposed a theme of "Coming Home". However, my story (told in words & photos) is really more about Staying Home. Robbie had the entire week of Thanksgiving off work this year, but rather than travel somewhere like we would normally do, we decided to have a Staycation. 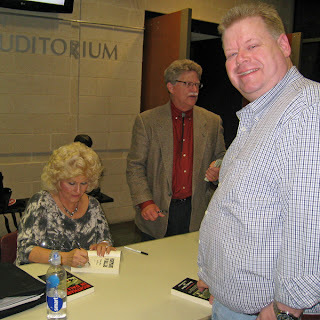 We attended big events and small events, spent time at local attractions and at home, celebrated Robbie's birthday & Thanksgiving, decorated for Christmas, and slipped away for one overnight stay out-of-state. Here's a day to day look at the fun we had! Day 1 - I'm counting Friday evening when Robbie got off work as Day One because it was truly the beginning of the vacation for us. 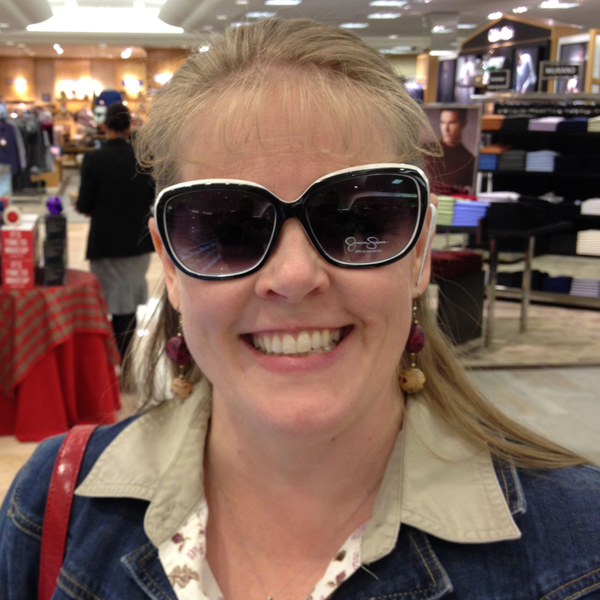 We went out to eat and shopped for new sun glasses (a must-have accessory year-round here in Dallas!). Here's the pair I finally decided on. 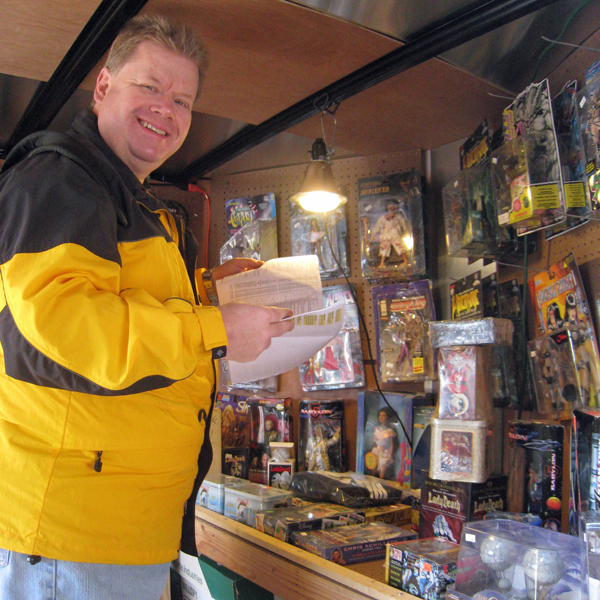 Day 2 - We strolled through the booths at our local trade days where Robbie found several new toy and trading card treasures to add to his collection. A friend of mine came over after lunch and we scrapped the rest of the day away! 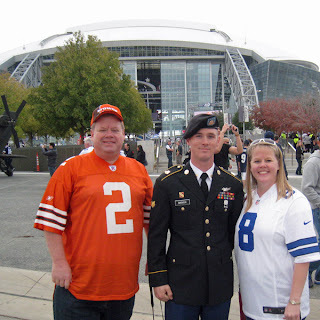 Day 3 - We attended the Dallas Cowboys vs Cleveland Browns football game at Cowboys Stadium. As those of you who visit here often know, I've always been a Cowboys fan and Robbie's always been a Browns fan - when we married, we became a two team family! So, we supported both teams that day (but I was THRILLED that my our Cowboys won!). As a bonus, my nephew was at the game, too, as part of the salute to the military halftime performance, and we were able to enjoy visiting with him throughout the game. Day 4 - We went out for a nice dinner and enjoyed the Christmas tree and lights at a local shopping center, then attended a free book event at the library. The author of Nightmare in Dallas spoke about being in Dealy Plaza when President Kennedy was assassinated in 1963. She had a new 8 mm movie camera filming during those tragic events, however the tape was confiscated by the government a few days later and she has not seen it since. Day 5 - Robbie's birthday was a beautiful sunshiny day. 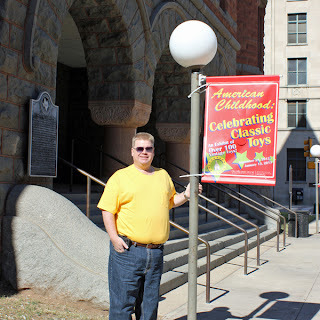 After he opened his gifts, we headed in to Dallas and the Old Red Museum where there was a special exhibit: "American Childhood: Celebrating Classic Toys." We also strolled through the Farmer's Market and enjoyed a nice lunch out. Day 6 - We spent the next day at home. I worked on Thanksgiving dinner preparations (baking pecan pie, prepping the praline sweet potatoes, cooking cornbread for the dressing) while Robbie completed two quizzes in the master's level class he's taking online. Day 7 - My parents joined us for Thanksgiving Day, and we enjoyed smoked turkey, baked ham, green been casserole, praline sweet potatoes, deviled eggs, cornbread dressing, gravy, pecan pie, and banana pudding. 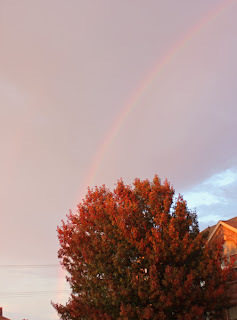 We walked outside with my parents when they were leaving and saw this beautiful rainbow. Day 8 - My parents stopped back by the next day while we were setting up and decorating our Christmas trees. They said they came by to drop off Robbie's birthday gift, which they had forgotten to bring the day before. However, they also brought their favorite ice cream to go along with another piece of my pecan pie! Day 9 - Our first stop was at a local antique fair before we headed out for a quick overnight trip to a wonderful Bed & Breakfast in Oklahoma. 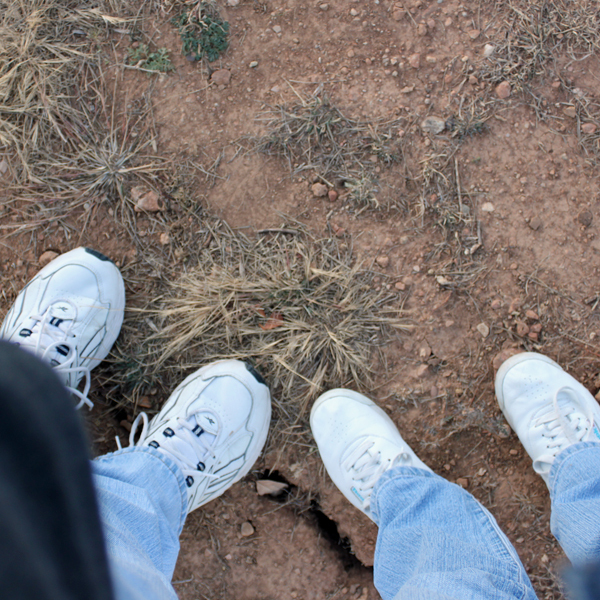 We enjoyed a refreshing walk along their nature trail at dusk before relaxing in the hot tub. Day 10 - After a relaxing morning in Oklahoma, we headed home and spent the rest of the day watching football and getting ready to get back to our normal routines as Robbie returned to work on Monday. We both decided it was a very relaxing, well-paced Staycation! Do you stay home on your vacation? 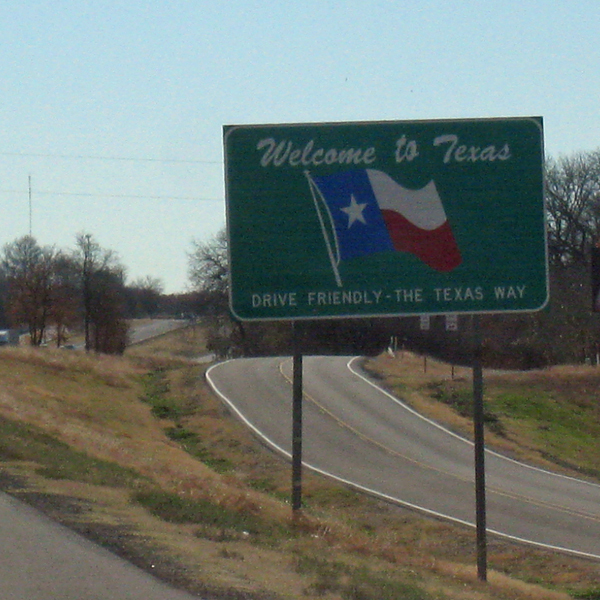 Or do you always travel somewhere to get away? Sounds like a great staycation, the perfect balance of everyone's favourite activities! Aside from our camping weekends, we don't get away much, or make special effort for weekend staycations, but I'm thinking we might need to try this summer. It sounds like a great way to spend time off. We do both but when we stay home we tend to catch up on projects and go to the movies. 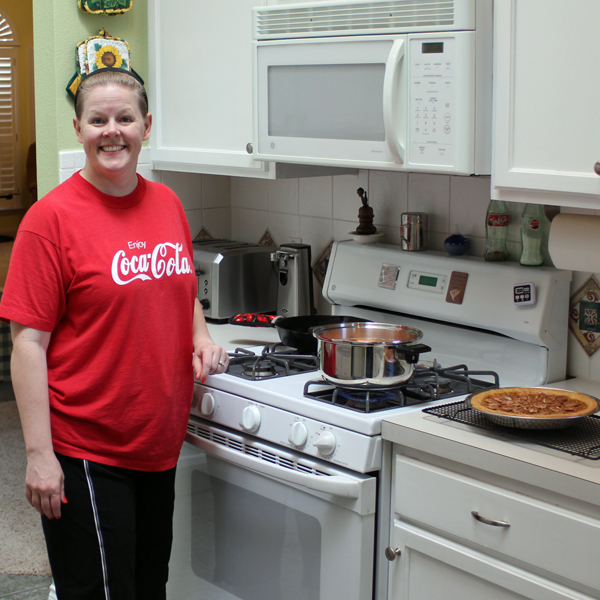 Love that picture of your nephew, and the pecan pie looks awesome! A perfect celebration of the fun to be had right on your own doorstep! Your staycation sounds like it had a bit of everything you love in there - and what could be better than that? Melissa, thank you so much for your stories through the year. We have all enjoyed them! Who needs to leave home to have fun?! You sure do know how to enjoy a staycation. Wish I had been there! Sounds like a great staycation! I love your new sunglasses! I am drooling over the pecan pie! Sounds delicious. We are staying home this holiday season. We do more and more now the kids are older...can't afford four adult air fares.